Equipped with Jaguar Land Rover’s new generation powertrain family called Ingenium, the diesel engine gives a better performance, higher fuel economy and quieter running, whether on city roads or highways. The four cylinder 2-litre diesel, still mated to a smooth shifting nine-speed torque converter automatic, makes 148 bhp and 382Nm of peak torque. And with this engine and seven seats, the Discovery Sport weighs in at around 100kg under the 2-tonne mark. With a claimed top speed on 180 kmph and accelerating from 0-100 kmph within 10.3 seconds, this vehicle is not slow or lethargic by any account. However, riding for all occupants is not most comfortable, especially those sitting in the rear. Sometimes, you can feel the bumps with the rear kicking around a bit, even though the vehicle manages to iron out the bumps and mild potholes at speed. For far as the exterior is concerned, undoubtedly, this is a modern and compelling vehicle, with its well-proportioned body and purposeful stance. Its distinctive silhouette and beautifully sculpted surfaces all combine to create a vehicle that truly connects on an emotional level. 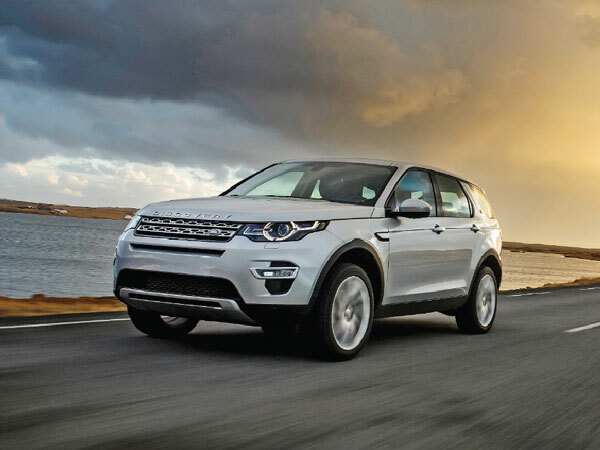 Discovery Sport is a car ready for any drive. Its strong dynamic lines and robust detailing signal Discovery Sport’s incredible breadth of capability. Signature features include a clamshell bonnet and distinctive two-bar grille with hexagonal mesh. The fast bonnet line with a pronounced step into the rising beltline conveys a dramatic stance, whilst the roof tapers subtly downwards, adding extra dynamism. Although Land Rover has given the Discovery Sport a new and capable engine, the brand could have spruced up its insides a bit more. However, it still has a well-built cabin, and it does indeed looks and feels luxurious, especially in this HSE trim that I drove. There is also ample space for four. Actually, this is a 5+2 seater, but it is luxurious for five and keep the two seat space to throw in luggage. Its cabin overall is airy, practical, ergonomically sound, and it gets its fair share of bells and whistles like before. Equipment wise, there is easy keyless entry and start, automatic headlamps and wipers, mood lighting, dual zone climate control, electric seats upfront, a multimedia system with steering mounted controls, a fair selection of cup and bottle holders and lots of leather. It also gets cruise control and reversing aid in the form of a camera and proximity sensors front and back. And on the safety end, it gets seven airbags, ABS and ESP among others. Discovery Sport is a do-it-all car. From office parking lots to unseen trails, the Sport can do it all. And, it looks good and feels luxurious while doing it. With the new engine, it is also quieter, more refined, peppier and more efficient. For Rs 51.77 lakh at Mumbai showroom, the Discover Sport HSE is worth its value compared to its competitors such as the Mercedes-Benz GLC in 220d Sport trim and the BMW X3 in the Expedition trim.